The Music Department at Indiana University Southeast offers several scholarship opportunities for talented students. 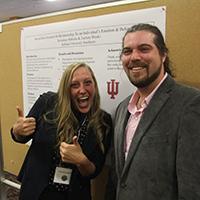 Some scholarships are open to all IU Southeast students, regardless of the student's major. Apply Today for the Music Scholarship! In order for to be considered for a music scholarship, students who are not applying for acceptance as a music major must still complete a Music Department Admission Audition Application and perform an audition on one of the Music Department audition days. In addition to the application form, students must submit a letter of recommendation from a current music teacher and a copy of their most recent school transcript. Application materials should be submitted at least three weeks prior to the audition date. Students will receive an email one week prior to the audition date with the scheduled audition time. View the Auditions page for additional audition information. For guidelines of acceptable audition repertoire, you can download our Suggested Repertoire Guide. The Rasmussen Awards are funded by an endowment given to Indiana University Southeast by Mrs. Naomi K. Rasmussen of New Albany, Indiana. 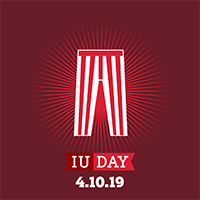 The Indiana University Foundation holds the fund in trust, and a percentage of the fund’s earnings are awarded annually to exceptional students in the performing arts. Purpose of the Awards The Rasmussen Awards are intended to strengthen and support the performing arts at Indiana University Southeast by offering talented students monetary assistance for full participation in musical, theatrical, and/or dance performing groups. Award Amounts Award amounts vary with each student. Students who qualify will be awarded funds which may cover tuition and fees for up to 30 credit hours per academic year. Awards are given on a year-to-year basis. A student in good standing who has fulfilled previous award obligations may apply each year for the award. Please be aware, however, that these awards are competitive. 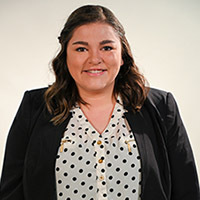 Obligations Students receiving Rasmussen Awards will be expected to participate fully in at least one appropriate IU Southeast performing group. A vocalist, for example, will be expected participate in Concert Choir or The IU Southeast Opera/Musical Theatre Workshop. An oboist will be expected to participate in Concert Band or Orchestra. A pianist will be expected to participate in a chamber ensemble and/or to accompany student ensembles or performers. The level and area of participation will be determined by the award committee and be specified in the award letter. In cases where the recipient has not fulfilled the prescribed obligations of the award, the Award Committee reserves the right to rescind the full amount of the award. The Martha Stem Award is funded by an endowment given to Indiana University Southeast by Mr. Richard K. Stem in memory of his mother. It is a merit-based award given annually to two outstanding students; one in music and one in fine arts. Only students majoring in music are eligible for this scholarship. Purpose of the Award The Martha Stem Award in Music is intended to strengthen and support the music program at Indiana University Southeast by covering full tuition, book and fee expenses for up to four years. The Award in Music is reserved for music majors only. Fine Arts applicants should contact the Fine Arts Department for information. Award Amounts The Students who qualify will be awarded funds which will pay full tuition up to 30 credit hours per academic year and will cover all expenses incurred through required books and applied music fees. As long as the student is in good standing, the award will be renewed for up to four years without audition or reapplication. The amount of the Stem Award may not exceed the equivalent of tuition, fees, and academic books. The amount of the Award may be subject to change if a student is also receiving State or Federal financial aid or other scholarship funds. Stem Award winners are subject to all of the rules and regulations of the University's refund and repayment policies. The amount of the award is credited to the student's account on a semester to semester basis when fees are calculated during the registration periods. The IU Southeast Office of Scholarships and Financial Aid supervises these student award accounts. Obligations Students receiving Stem Awards will be expected to fulfill the academic and artistic responsibilities of the award. Students may expect their award to be renewed so long as they have lived up to the conditions of the award. The following factors may be grounds for discontinuing the award: the inability of the student to work harmoniously with faculty and/or fellow students; the student's failure to maintain a grade point average of at least 3.0; the student's failure to maintain standards of excellence and progress in his/her performing medium/media; the student's failure to make significant progress toward a degree; or a serious violation of the law or of Indiana University Southeast policies and regulations. The Scholarship Award Committee reserves the right to refuse renewal in any of the above cases. 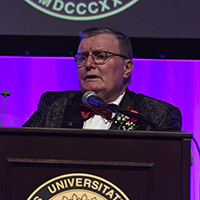 The James A. Poteet Award is funded by an endowment given to Indiana University Southeast by the family of James Poteet, the founding director of the IU Southeast Concert Band. This award is given to one outstanding student each year. Purpose of the Award The Poteet Award is intended to strengthen and support the performing arts at Indiana University Southeast by offering talented students monetary assistance for full participation in musical performing groups. Award Amounts Award amount is generally $500 for the academic year. The amount of the award is credited to the student's account when fees are calculated during the registration periods. 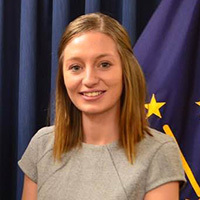 The IUS Office of Scholarships and Financial Aid supervises these student award accounts. Obligations Students receiving the Poteet Award will be expected to participate fully in either the IU Southeast Concert Band or the IU Southeast Orchestra, depending on current ensemble needs. The level and area of participation will be determined by the award committee and be specified in the award letter. In cases where the recipient has not fulfilled the prescribed obligations of the award, the Award Committee reserves the right to rescind the full amount of the award. The Eric Schansberg Award is funded by gifts to the Music Department by Eric Schansberg, Professor of Economics at IU Southeast. This award is given to one outstanding student each year. Purpose of the Award The Schansberg Award is intended to strengthen and support the Indiana University Southeast Orchestra by offering talented string students monetary assistance for full participation in the IU Southeast Orchestra. Award Amounts Award amount is generally $400 for the academic year. The amount of the award is credited to the student's account when fees are calculated during the registration periods. Obligations Students receiving the Schansberg Award will be expected to participate fully in the IU Southeast Orchestra. In cases where the recipient has not fulfilled the prescribed obligations of the award, the Award Committee reserves the right to rescind the full amount of the award. The Wil Greckel Music Scholarship at IU Southeast was established by Wil and Fay Greckel. Dr. Wil Greckel was the founder of the Music Department at Indiana University Southeast and longtime Professor of Music. Purpose of the Award The late Dr. Greckel established a scholarship to be awarded to one talented music student each year to assist the student financially and to strengthen the department. Award Amounts Award amounts are generally determined by market activity and performance and may vary from year to year. Obligations Award recipients must be in good academic standing at the end of their first semester in order to receive the second half of the award in the Spring semester. The following factors may be grounds for discontinuing the award after the Fall semester: lack of funds from the scholarship's IU Foundation account, the inability of the student to work harmoniously with faculty and/or fellow students; the student's failure to maintain standards of excellence and progress in his/her performing medium/media; the student's failure to make significant progress toward a degree; or a serious violation of the law or of Indiana University Southeast policies and regulations. The Scholarship Award Committee reserves the right to refuse renewal from Fall to Spring in any of the above cases. 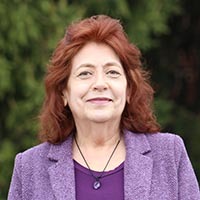 The Donald E. and Elizabeth H. McMahel Music Scholarship was established by Indiana University Southeast in honor of Donald McMahel, longtime IU Southeast Concert Band director and legendary music educator, and his wife, Elizabeth. Purpose of the Award The scholarship is to be awarded to one talented music student each year to assist the student financially and to strengthen the department. ObligationsAward recipients must be in good academic standing in order to have their award renewed each year, maintaining a G.P.A. of at least 2.5. The following factors may be grounds for discontinuing the award: lack of funds from the scholarship's IU Foundation account, the inability of the student to work harmoniously with faculty and/or fellow students; the student's failure to maintain standards of excellence and progress in his/her performing medium/media; the student's failure to make significant progress toward a degree; or a serious violation of the law or of Indiana University Southeast policies and regulations. The Scholarship Award Committee reserves the right to refuse renewal in any of the above cases. The Sherri L. Stiefler Music Scholarship was established by Norman and Millcent Stiefler in honor of Mr. Steifler's late sister. Sherri Stiefler was an education student at Indiana University and a passionate musician. Purpose of the Award The scholarship is to be awarded to at least one talented music student each year to assist the student financially and to strengthen the department. Award Amounts Award amounts are generally determined by market activity and performance and may vary from year to year. When possible, the scholarships shall be in the amount of a minimum of $500. The award may be renewed for up to a maximum of four years. Obligations Award recipients must be in good academic standing in order to have their award renewed each year, maintaining a G.P.A. of at least 3.0. The following factors may be grounds for discontinuing the award: lack of funds from the scholarship's IU Foundation account, the inability of the student to work harmoniously with faculty and/or fellow students; the student's failure to maintain standards of excellence and progress in his/her performing medium/media; the student's failure to make significant progress toward a degree; or a serious violation of the law or of Indiana University Southeast policies and regulations. The Scholarship Award Committee reserves the right to refuse renewal in any of the above cases. 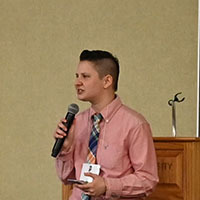 Purpose of the Award The IU Southeast Scholarship Award in Music Composition is funded by the IU Southeast Music Department and is intended to provide assistance to one talented incoming freshmen student composer each year. Award Amounts The student who qualifies will be awarded $1,000 which will be applied to the student's Bursar account — half for the Fall semester and half for the Spring semester. Renewal Only one award is given each year to an incoming freshman. Therefore, this award is not renewable after the freshman year. Obligations Award recipients must be in good academic standing at the end of their first semester in order to receive the second half of the award in the Spring semester. The following factors may be grounds for discontinuing the award after the Fall semester: the inability of the student to work harmoniously with faculty and/or fellow students; the student's failure to maintain a grade point average of at least 3.0; the student's failure to maintain standards of excellence and progress in his/her performing medium/media; the student's failure to make significant progress toward a degree; or a serious violation of the law or of Indiana University Southeast policies and regulations. The Scholarship Award committee reserves the right to refuse renewal from Fall to Spring in any of the above cases.